Education System of Pakistan. 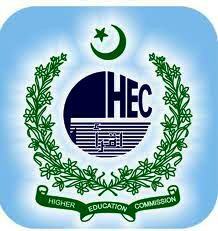 Its time to save the HEC otherwise our future will become darker. Plus i don't agree but apparently this is what our PM is thinking. so that's in his mind. If HEC is destroyed - it will pave way for corrupt , politicians to only limit schools to their own children ..
Plus it will also affect the Subsidies, government is giving to the government INSTITUTIONS ! and non profit institutions ! ironically i told me friends back in 2008 that HEC is going to sink..i mean which idiot politician will allow 60 billion rupees in education why not another benzair income program. i am surprised how did it survived for 3 years !!! !